All 3 trades were losers. Trade 1 was taken on the low of the second M15 bar - which was an inside bar - in the hope of a down move. 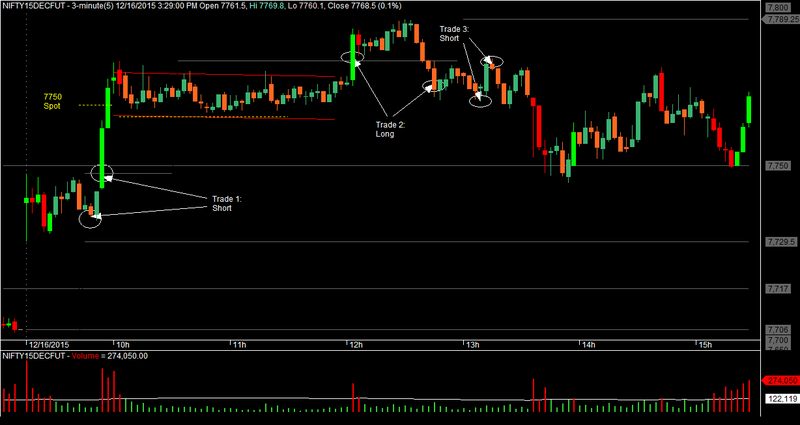 Trade 2 was taken on the hope of a breakout move. For this trade, I should perhaps have tightened the SL, maybe? Trade 3 was BOF of HOD. Got shaken out. All the hoping was hopeless. All I was doing today was buying tops and selling bottoms.